Foot or Ankle Pain Keeping You from What You Love? No matter how old you are or what you love to do, chances are you rely on your feet and ankles to get through your day. So, when they’re injured or damaged, the consequences can be so much worse than just physical pain. Without healthy feet and ankles, your entire lifestyle may be threatened. But there’s good news. The Waukesha Foot Specialists are here to help you keep living your best life. We are 100 percent committed to providing excellence in podiatric care. That dedication extends not only to our training and treatment skills but is also reflected in the way we support every patient with individual attention, comprehensive information and education about their condition, and personalized care. 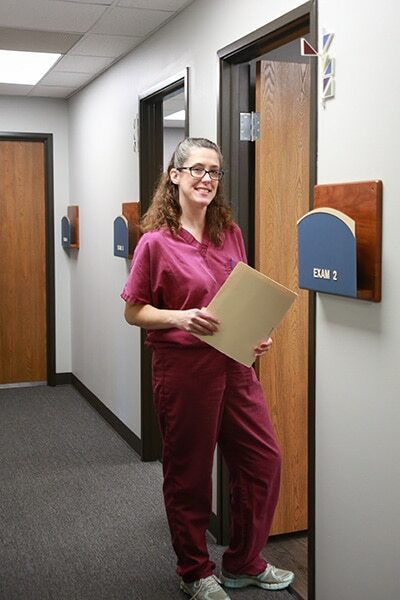 At Waukesha Foot Specialists, your feet are in good hands! “Been going to Waukesha Foot Specialists on and off for a few years for treatment of plantar warts. While the treatment isn’t a lot of fun, the staff is always friendly and courteous. Dr. Guhl is excellent.” Lindsey S.